I can't tell you who will win or lose this presidential election. The race so far is much too early to call. However, the tax plans released by candidates so far can tell us a lot about which policy provisions are winning and losing the 2016 election. So far, the deduction for state and local taxes is losing big time. We have put together a tax plan comparison tool that allows you to see how candidates compare and contrast on the different tax issues. 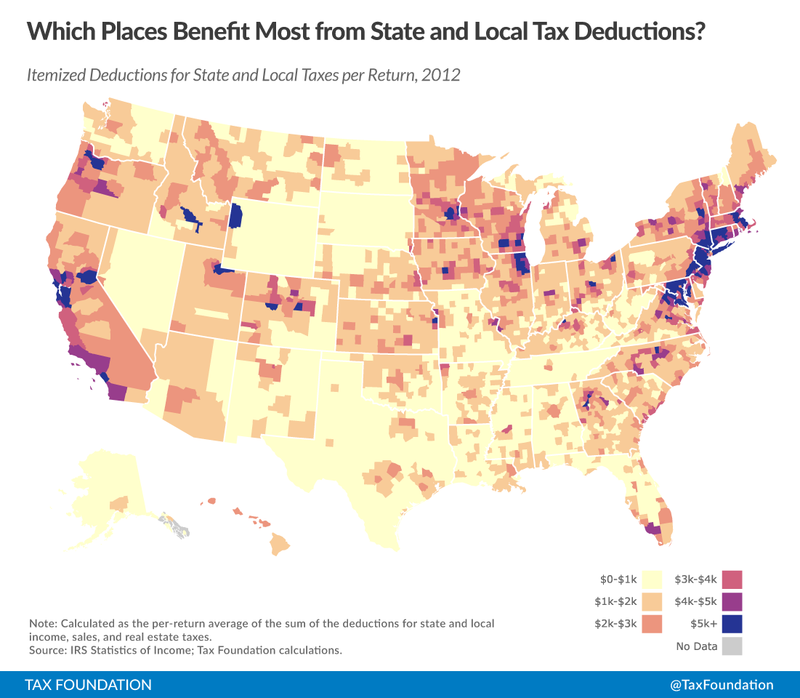 However, on the issue of the state and local deduction, there's really not much contrast. The policy faces a murderer's row of candidates trying to put an end to it, or at least, limit its benefit. There are good policy reasons to abandon this provision and use it to pay for broader tax relief, as many candidates have done. 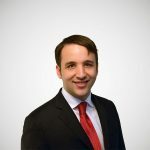 It is a large amount of money; the deductibility of state and local taxes (including property taxes) is expected to result in $81 billion of lost revenue for the federal government in 2015, according to the latest OMB estimates. For another, the policy only benefits particular kinds of taxpayers. For example, it benefits those who itemize their deductions, rather than opting for the standard deduction. This is often characterized as regressive, because itemizers tend to be much wealthier than those who take the standard deduction. Furthermore, its value often varies heavily from place to place. This can be seen on a map we recently published of the values of state and local deductions taken per return. This policy is a kind of ad-hoc, incomplete, and arbitrary subsidy for state and local tax revenues. It benefits federal taxpayers extremely unequally, and it costs a lot of money that could be used for lower rates. 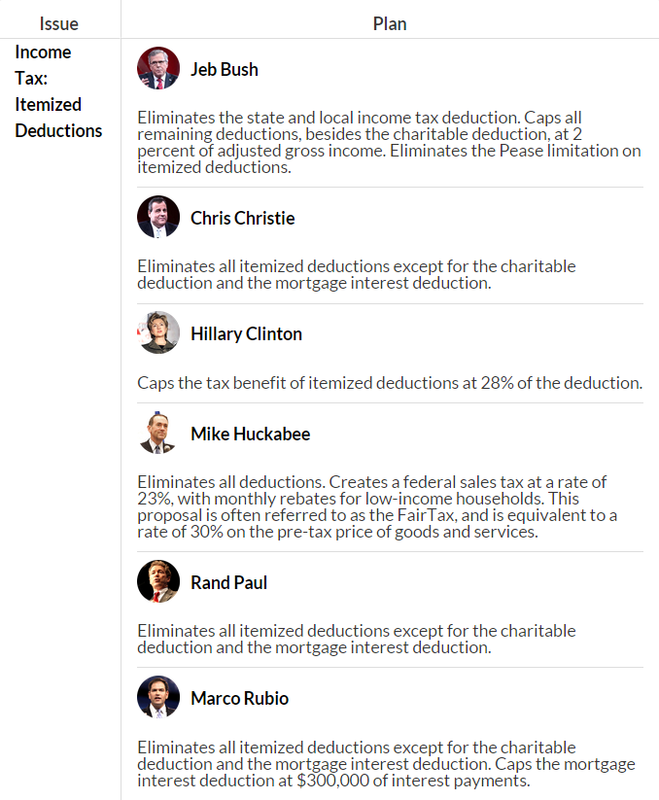 Many presidential candidates are looking at that tradeoff as a potential opportunity to improve the tax code. They're certainly not wrong to think of it that way.